The length of this blog is going to match the time I spent in Belize's former capital: Short. In one afternoon I saw everything tourism-related you could possibly see here. Twice. And that's not a bad thing, I had a wonderful afternoon. ​My first mission was to track down Ian's house, the Couchsurfer I've been whatsapping with for weeks as we both tend to change plans all the time. He appeared to be a very social creature, hence the big crowd of travellers he tried to accommodate in his modestly sized apartment: an impressive group of five travellers + a friend who accidentally smashed up his dad's car in some drunken delirium and isn't welcome at home for a while + himself. We shared two mattresses and one couch, me spooning a German couple (Felix und Annie). You know how sometimes based on a written correspondence you mentally create a person? Yeah, mine didn't really match reality: My host was a big, black and beautiful homosexual with an ADHD chihuahua. Needless to say, it was love at first sight. 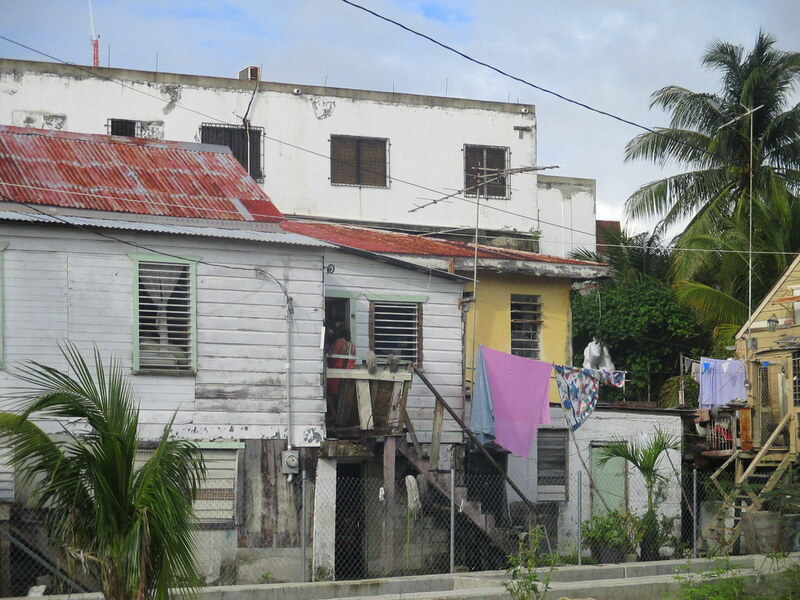 Even though in status Belize City isn't the capital anymore (hurricane-wise), in identity and size it still is. It didn't feel like a capital city though. 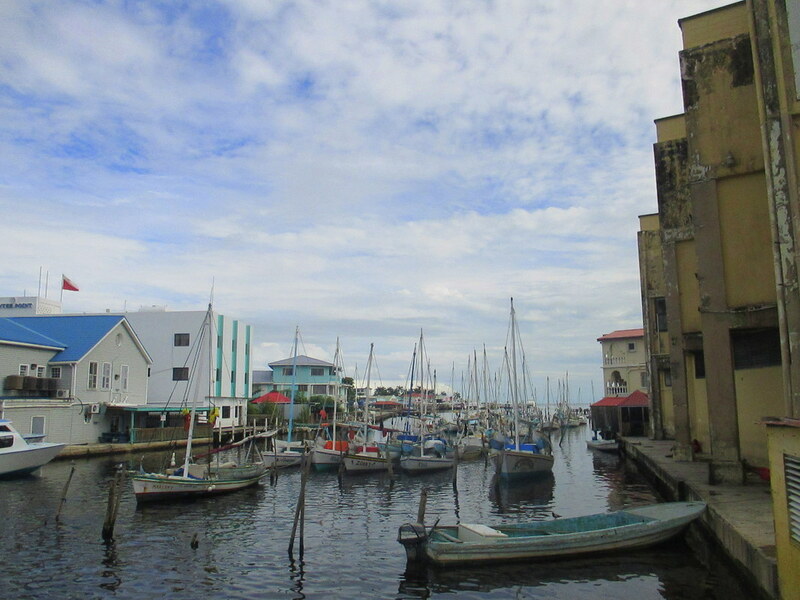 Where cities like Buenos Aires or Paris wipes me away with the intensity, sounds, stress and vibrations of a metropolis, Belize City feels like a buzzing little fishing village. There's one museum, which I visited (for free, something with mentioning this blog to the guard). 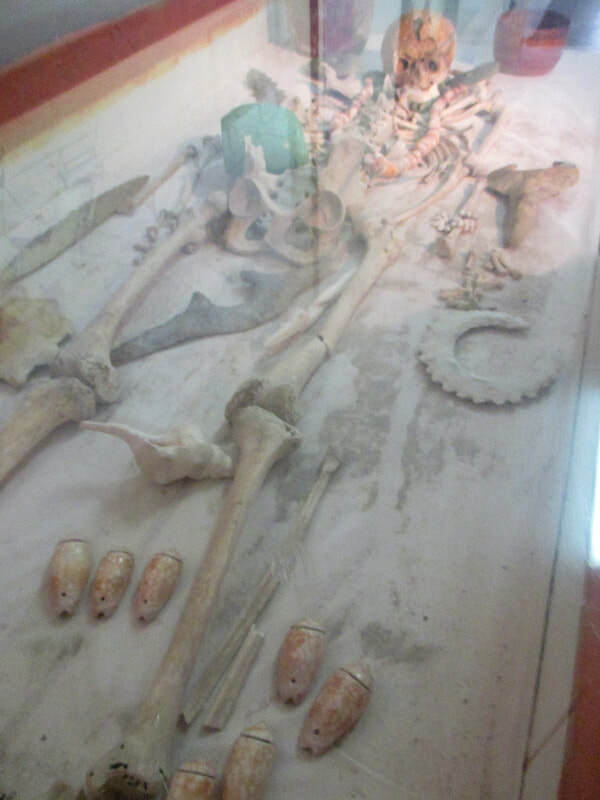 It was nice and tiny, some geographic maps and Maya bones… nothing earthshaking, but recommendable nevertheless. Then I checked out the Baron Bliss Lighthouse, Supreme Court and the Memorial Park, after which I walked to the House of Culture, that had no current exhibitions... I continued my journey to the old Cathedral St. John, which was closed and fairly unimpressive. I strolled along the photogenic waterfront that with its boats and bridges kind of reminded me of some Caribbean Venice. Subsequently I visited the Bliss Centre Of The Performing Arts that didn't have any performances but free WiFi, so satisfying enough. Then I did it all again. Stimulation I mainly found in food, trying everything the Belizean cuisine has to offer: Garnachos, tostados, burritos, panades, gachos, salbutes, fry jacks and bread pudding. I skipped the pig tail and cow foot soup for obvious reasons. Conclusion: Central America and good food, usually a contradiction in words, is a Belizean match made in heaven. As yu kyaahn travl pahn emti stomak I shortly lift my hand from the keyboard for a little but well-meant applause. Thank you Belize. ​After half a day and solely one night I packed my backpack again, that I actually didn't even unpack, and continued my travels with a smile on my face. Belize City, a pleasant snack for in between.